Well, it’s been a challenging couple of weeks on the M&M front; first the hurricane and then my computer decided to die on me. Consequently, I feel like Thanksgiving has snuck up on me. I don’t think I will be making a full Thanksgiving meal this year, however I will do a Thanksgiving-inspired menu. I might include this Angel Hair with Butternut Squash and Sage as a side dish, because there really should a pasta to make it a holiday. This Farinata would make a great gluten-free appetizer to snack on while the rest of the meal cooks. You can change the toppings to suit your mood, but I liked the olive and cheese combination. Eggplant Caponata is always a good appetizer as well, and this version is a little Thanksgiving-inspired, with the use of cinnamon. 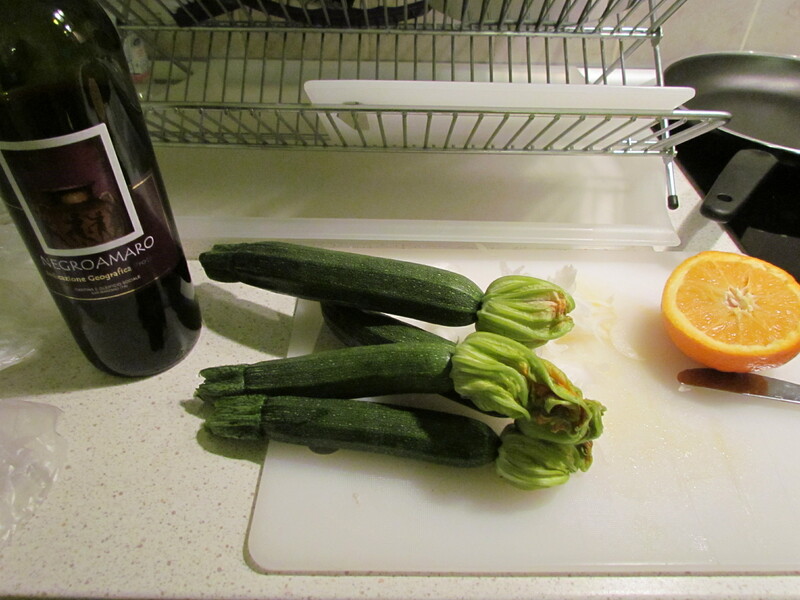 We usually make a vegetarian option which tends to be a Lasagna or some Stuffed Mushrooms. I always make extra though, because invariably the meat-eaters want them too. Butternut Squash Soup flavored with apples and sage is a fantastic way to start the meal. I can’t get enough butternut squash in the fall. Thanksgiving requires a mashed vegetable of some sort, so I either go with these Mashed Sweet Potatoes with Crispy Prosciutto or some Parsnip Puree. And of course, we can’t forget the cranberry sauce. I ALWAYS make this Brandied Cranberry Sauce so I have plenty leftover. Stay tuned for some Turkey Pot Pie! 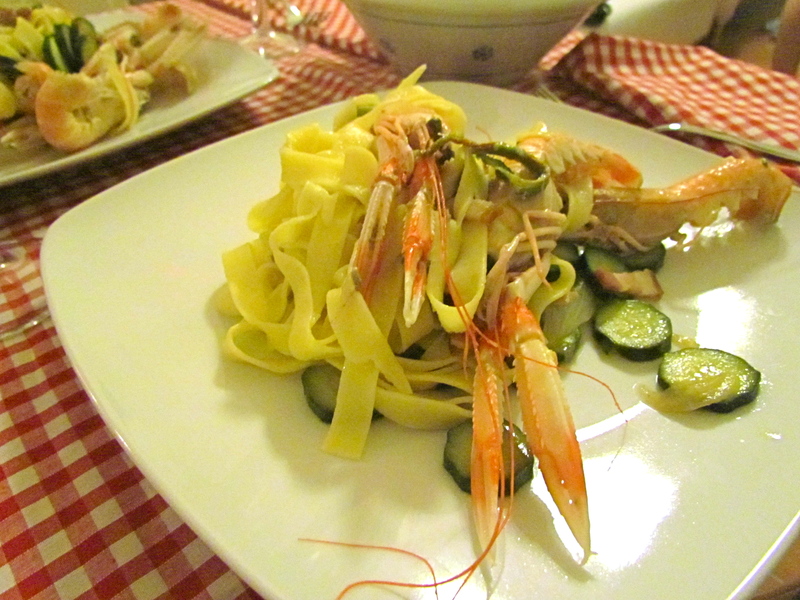 I’m back from Italy, and now it’s time to share the amazing meals we had. After a long day of travel, it’s no wonder I forgot to bring the camera to our first dinner at Alberosole in Bari. 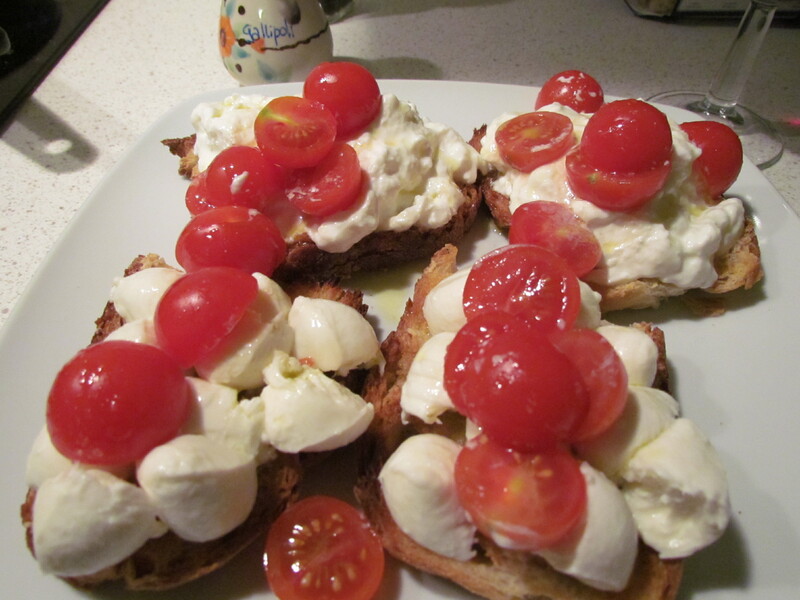 You’ll have to take my word for it, it was delicious and we feasted. 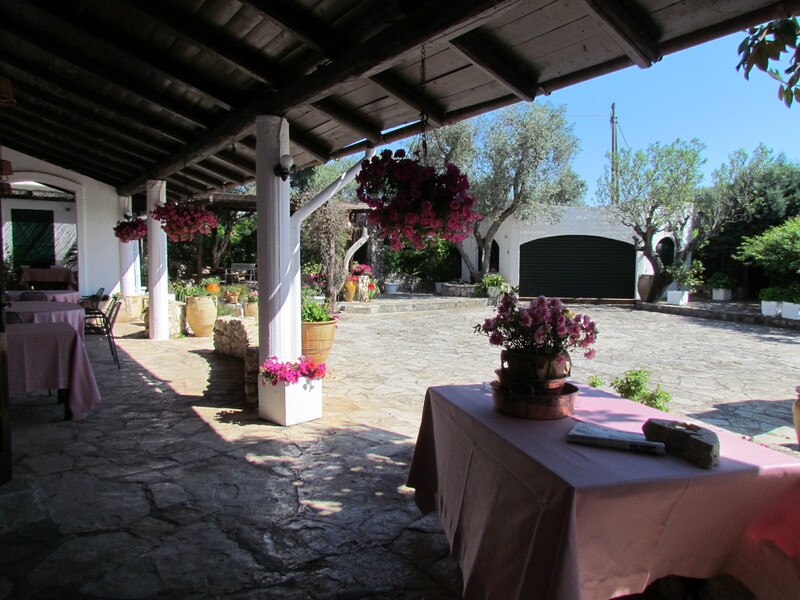 The next day, we were off to some more towns in Puglia, and lunch was at Il Fornello da Ricci. It was an incredible lunch and we didn’t hold back even though we were probably still full from dinner the night before. 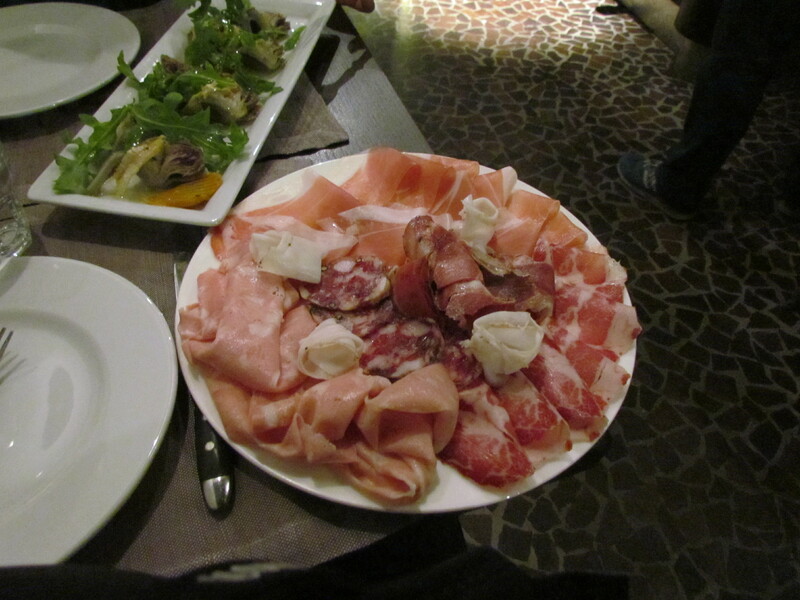 We started with the antipasto, which was as decadent and delicious as advertised. 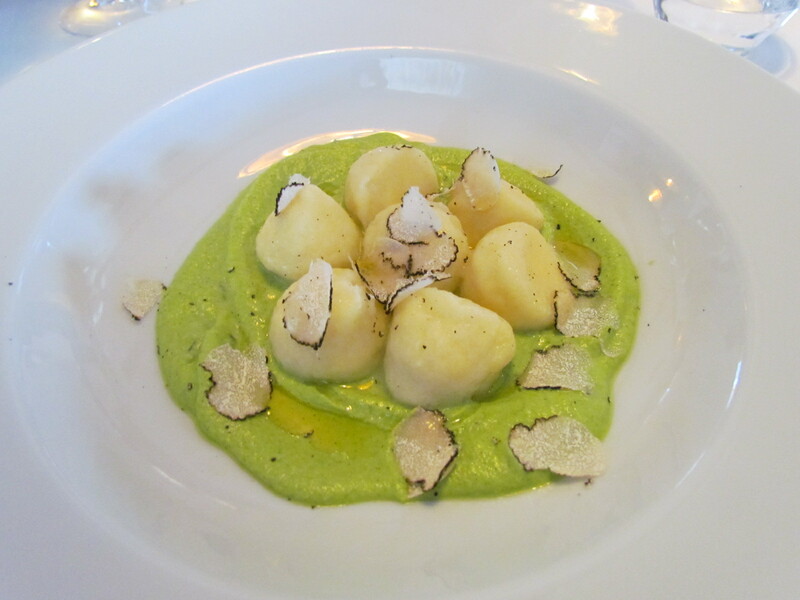 Then we moved on to pasta, which included a squid ink pasta with pea pesto and these ricotta gnocchi with truffle shavings. Then there was some lamb and a millefoglie. I was definitely ready for a nap after this one, but it was worth it. 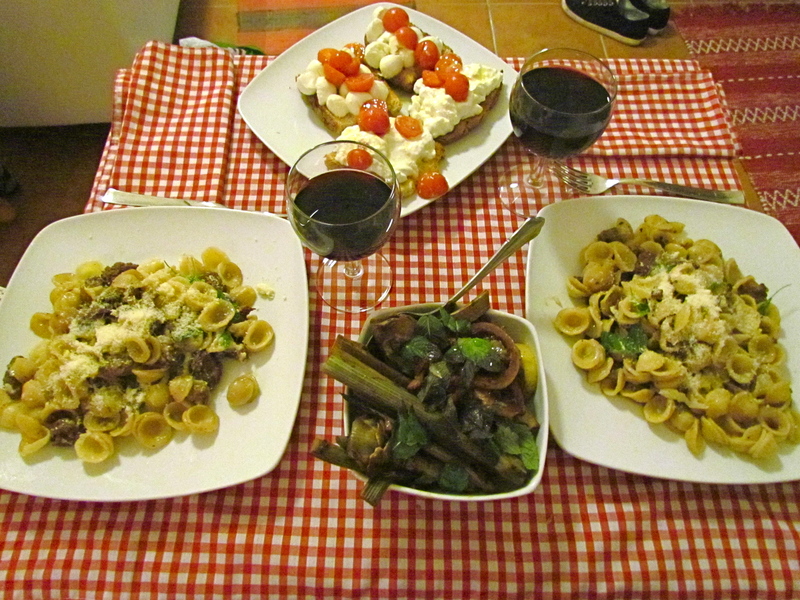 We had many other wonderful meals in Puglia, but I didn’t bring the camera for all of them. 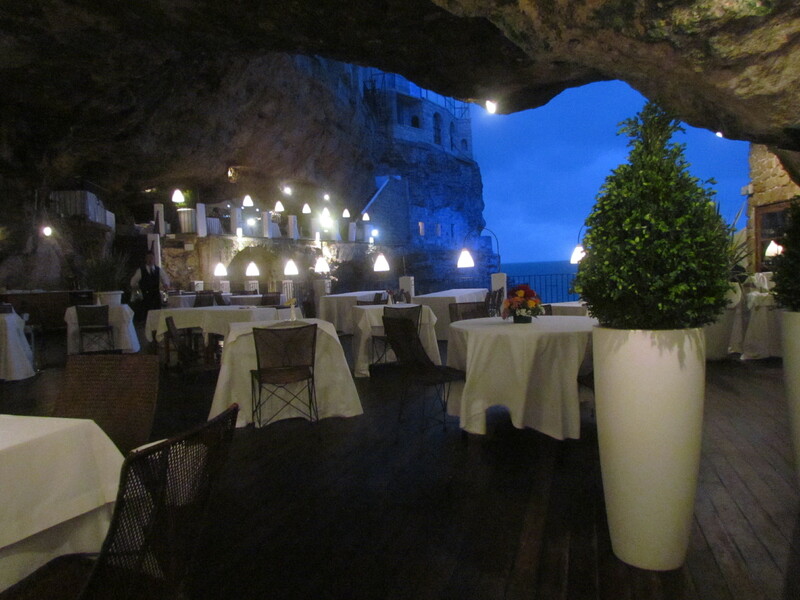 The one that I would recommend if you’re ever in the area is the Restaurant at Grotta Palazzese in Polignano a Mare. The food may not stand out, but it’s a truly unique experience because you eat in a beautiful grotto with the waves crashing all around and the candles flickering on the cave walls. 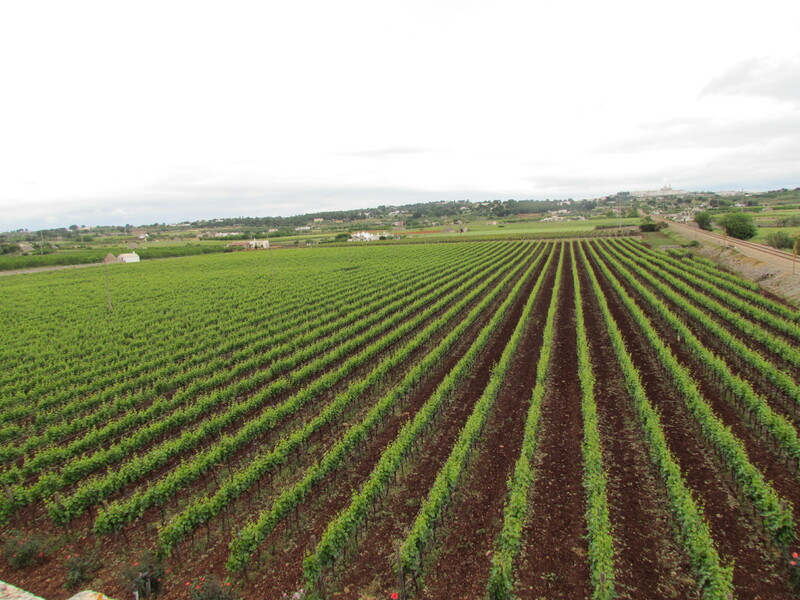 While in Puglia, we visited two wonderful wineries that were gracious enough to give us tours of their facilities. 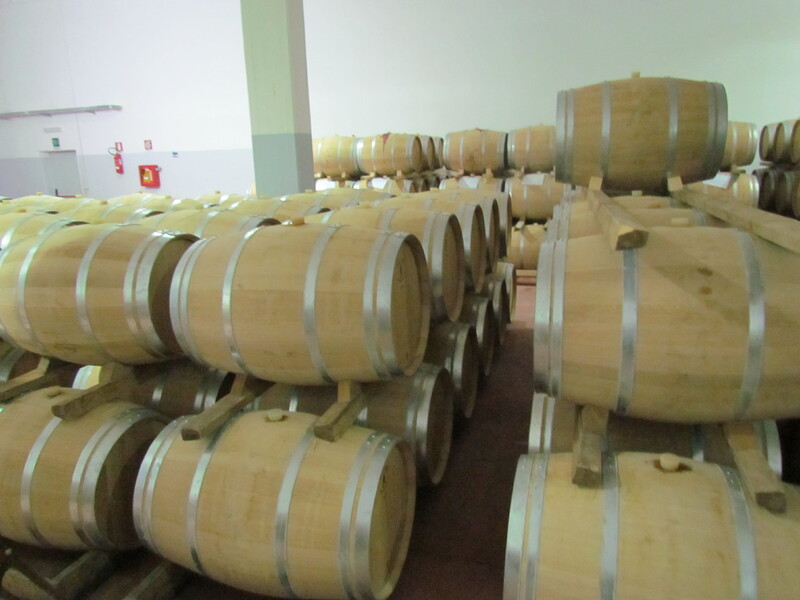 The Cantele Winery outside Lecce gave us a tour of their property, showing us the entire production line. It’s worth trying their wines if you can find them. We also made it to the I Pastini Vineyard after getting lost countless times. Their vineyards were incredible and they showed us the trulli (a traditional home from Alberobello and nearby) on their property. I can recommend their whites and their Fiano in particular. 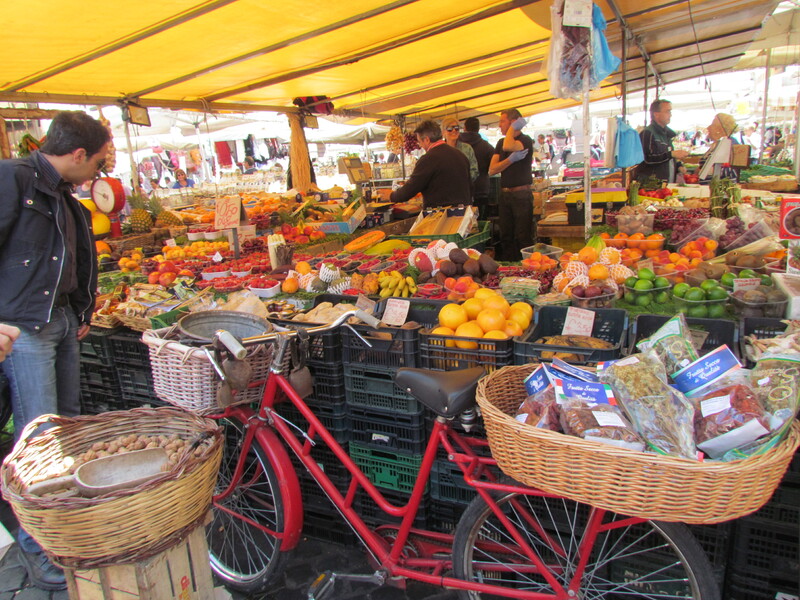 We stayed near the Campo de Fiori, and what better place to go food shopping! I brought back a new ravioli cutter and gnocchi board, so stay tuned for their debut!